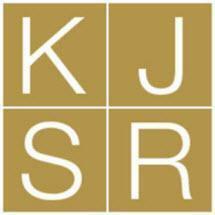 The personal injury law firm of Kennedy, Johnson, Schwab & Roberge, L.L.C., was established in 1988 to provide legal representation to injured people throughout Connecticut. Since our founding, our lawyers have developed a reputation for providing effective and efficient legal services, whether a personal injury case is resolved through a pre-trial settlement, mediation, arbitration or litigation. Our attorneys handle a large volume of sophisticated personal injury cases, from complex medical malpractice and worker's compensation cases to Connecticut truck accidents. The lawyers at our firm use the same skill and tenacity required for complex and catastrophic injury cases to fight for our clients in more straightforward cases, involving negotiated settlements. Unlike many firms with a similar case load, we prepare all our cases for trial. As a law firm with tremendous trial experience, we will not hesitate to put a case before a jury if a fair settlement cannot be reached. We have successfully litigated a wide range of personal injury cases including, car and motorcycle accidents, wrongful death, premises liability, birth injuries, medical malpractice and trucking accidents. The lawyers at Kennedy, Johnson, Schwab & Roberge are supported by a seasoned staff of paralegals and legal assistants. The long-term service and dedication of our support staff allows us to provide an uncommon combination of advice and representation, with personal attention and compassion. We regularly receive referrals for personal injury litigation from other attorneys and law firms. In addition, we have significant experience serving as mediators and arbitrators. Our attorneys are admitted to practice in all Connecticut and New York state courts, as well as the U.S. District Court District of Connecticut, the 2nd U.S. Circuit Court of Appeals and the U.S. Court of Federal Claims.